Papatea Fault rupture (marked with paint) pushed up railway and siding over 5 metres, previously tracks were flat and parallel. Kaikoura M7.8 earthquake. 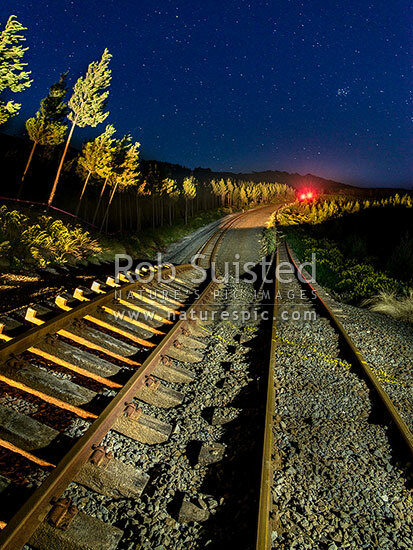 Railway lights still glowing in darkness, Waipapa Bay, Kaikoura District, Canterbury Region, New Zealand (NZ), stock photo.